To create a new website for Denholtz Custom Homes. 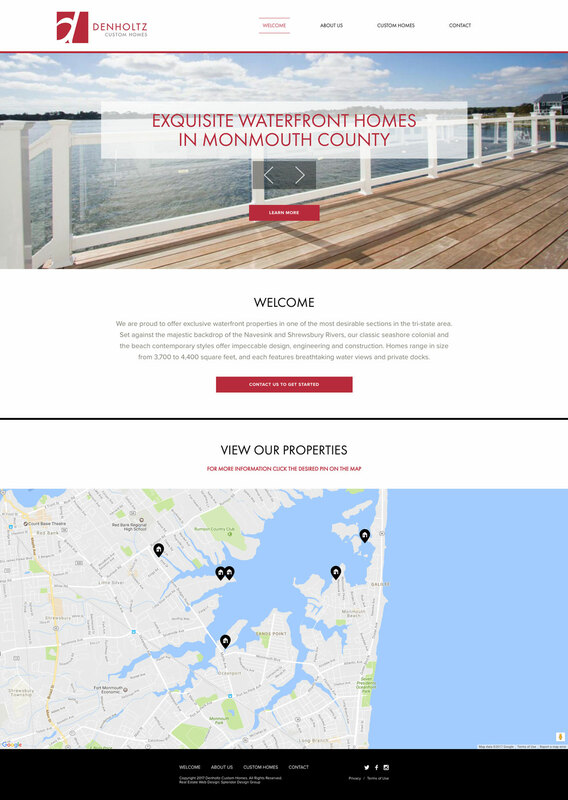 We created a clean, elegant website to showcase this builder’s waterfront properties along the Navesink and Shrewsbury Rivers. The site features an interactive map, and a user friendly backend that makes it easy for them to add new properties, photo galleries and more.